Popular bundles available to buy. If you would like to build your own Mountfield Tractor package, give us a call and we will build you a bundle for the cheapest possible price. The Mountfield Manor 95H is a power unit known as a two wheeled tractor, and makes the perfect tool for a variety of different garden tasks all year round. 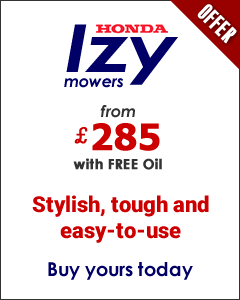 It features an ultra reliable Honda 4 stroke engine, which drives two traction wheels and a power take off system. It has a very strong, robust steel chassis which increases the longevity of it, and features operator presence control; a very important safety feature of any garden tool. The Manor 95H can go from cutting grass to clearing snow, with many other options in between. Fitting the attachments is incredibly effortless and is completed within the click of a finger, making this versatile system a definite favourite with many gardeners! When the Manor 95H is fitted with a rear tine cultivator, all you do is simply engage the drive and follow the machine. In just one pass, you will produce a seed bed on established vegetable plots, therefore making a tough job so easy. Occasionally, you may need two - three passes to get the depth and tilth you require on hard, unbroken ground. This really does make a difficult job, effortless. With a 53cm cutting width, this rotary grass cutter can tackle grass and nettles up to two feet tall. The featured single bar blade cuts and scatters the grass, giving a perfectly even finish. 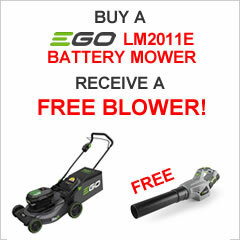 It can handle orchards and paths through wildflower areas, and any other rough grass lawns, without any fuss. It is a truly excellent piece of kit, makes the job at hand much more easier. Designed for cutting longer grasses, brambles, light scrub and many other similar materials, the scythe, or cutter bar mower can be fitted within minutes and gives a brilliant finish. 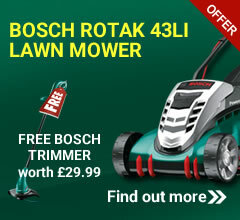 It has an 87cm blade, which cuts the grass once, and lays it neatly aside for later clearance if needed. Allow the powerful tractor to pull the plough through your soil, so that it’s no longer a job you dread! This riding plough makes earthing up your potatoes a quick and easy job, at half the work! The 82cm wide brush sweeps all debris into the collector, keeping your paths neat and tidy with this attachment. The included collector, makes for easy disposal and a 105cm brush is also available but without the collector. When the snow comes, this accessory is truly marvellous. It keeps you prepared for all weather conditions, despite how bad they are! With an 85cm working width, the blade can be angled to direct cleared snow in the direction of choice, keeping your paths clear and safe for the winter. PLEASE NOTE: Some products may be re-boxed for protection whilst in transit. Some products may also require the handles assembling (to avoid damage whilst in transit). Please note: Delivery is 5-7 working days for all Start 'N' Go products (except 'Express Start 'N' Go products' which are 2 working days) as your machine will need to be assembled and tested before dispatch. The cable from the start/stop/ accelerator lever mounted on the handlebar to the carb fails to work properly. It will not stop the machine without me also pushing the control at the ‘business end’ manually, and it does not consistently move the control sufficiently to operate the choke or full speed at the other end of its travel. So unless I move it manually beyond its travel at the far end of travel it will not start, and if I don’t do the same at the other end it will not stop!! This is despite a lot of fiddling about with the outer cable holder or routing options. The 90 degree bend at the end of the stiff inner cable tends to pull out once I try to operate the lever to its full extent. Although it hooks into the hole in which it is intended to register, the problem is that it is not matched properly, because that unit revolves around a curve, thus being inclined either to part company at each end of travel, or simply not to reach either end-position. I don’t know whether Just Lawnmowers have ever done a pre-dispatch assembly for this machine, but if so, this and other layout and design problems I have complained about would be apparent. I’ll probably now just live with this …..
With usage, the fitment of the tiller unit has become free and smooth, but not until after a lot of irritating filing and smoothing. That for the grassland mower seemed to fit much better from the start. The selector level is very crude and imprecise, sometimes seeming very unwilling to engage forward or reverse, or find neutral when having been in gear. After use for perhaps 15 minutes or more (it seems more so in hot weather?) the impression of clutch slipping is given. There is no smell of belt-slip but the machine loses its momentum and pulls feebly, needing a degree of pushing!. As my Uncle used to say on the farm, ‘it wouldn’t pull a dead hen off her nest’! Then either I have a break and perhaps it cools down or I fiddle about with the gear lever and the problem tends to go away. I have now used the mower in a range of conditions and am pleased with it in this mode. It will deal with rough grass / bramble mix between trees and bushes very well, and old thick autumn grassy residues without blocking up. It is nicely balanced, and the secret is to be flexible with the handlebars if you encounter any very heavy base growth. The left hand control via the big red lever is much smoother and easier to operate for the mower than it is with the handles in the other direction for the tiller. The higher forward gear for the mower in this control position is well-suited to the speed needed. I have found that transporting the machine from one area to another when it is in the understandably very slow tiller mode can be speeded up by using the higher gear designed for the mower (which is of course ‘reverse’ in the tiller mode). I will as you suggest submit an updated composite review to Mountfield, in the hope that it will help them. I am very surprised that I can’t access any reviews (if they exist) and I will ask them where to find the quoted 17/20 review in the Gardening magazine referred to in their brochure. I could not locate it, but was heavily influenced by that ‘score’ when buying the Manor 95. I wonder if the similar Stiga machine is different in the respects I have criticised?